The Purdue Society of Professional Engineers (PSPE) has been recognized with the Student Organization of the Year Excellence Award, presented to them by the Office of the Vice Provost for Student Life at the annual honors reception held on April 24th. Rao "G.S." 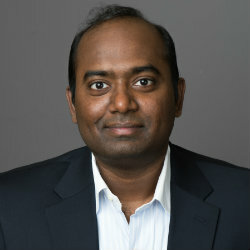 Govindaraju, Bowen Engineering Head of Civil Engineering and Christopher B. and Susan S. Burke Professor of Civil Engineering, has been recognized by the American Society of Civil Engineers (ASCE) with the Ven Te Chow Award for lifetime achievement in the field of hydrologic engineering. On April 23, 2019, the College of Engineering recognized graduate students and faculty mentors who have received awards at the school, college, university, and national level over the past academic school year. Several CE graduate students received awards for research, teaching and service, and a CE faculty member was recognized as an outstanding mentor. 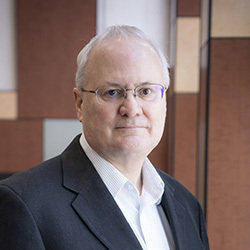 Professor Steven Kramer of the University of Washington will deliver the 17th Leonards Lecture, "Performance-Based Geotechnical Seismic Design," on April 26th. The PGS Workshop, with a theme of "Geotechnics of Natural Hazards," will be held in conjunction with the lecture. Mohamed Yamany, PhD candidate at the Lyles School of Civil Engineering, has been appointed to the Standing Committee on Bridge Management (AHD35) of the Transportation Research Board (TRB), one of seven program units of the National Academies of Sciences, Engineering, and Medicine. 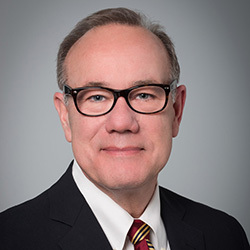 The Purdue University Board of Trustees on Friday (April 12) ratified the naming of Robert J. Connor as the Jack and Kay Hockema Professor in Civil Engineering. 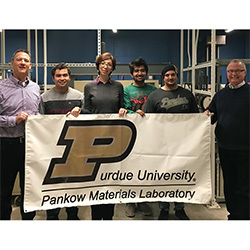 A team of Purdue civil engineering undergraduate and graduate students has won the inaugural national asphalt mixture design competition. Sponsored by CRH Materials Americas, Inc., the largest construction materials provider in North America, a total of 10 university teams competed to see which team could design the best performing asphalt mixture at the lowest cost. 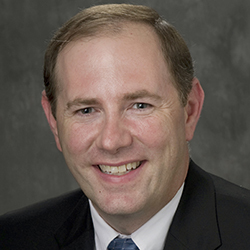 A Purdue engineering professor will lead a new research institute dedicated to designing and operating deep space habitats. 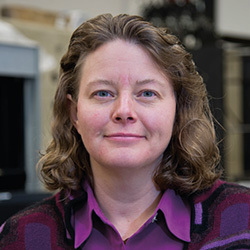 NASA announced Shirley Dyke will lead the new Resilient ExtraTerrestrial Habitats institute (RETHi) to be located in West Lafayette. Dyke is a professor of mechanical and civil engineering with a degree in aeronautical and astronautical engineering. 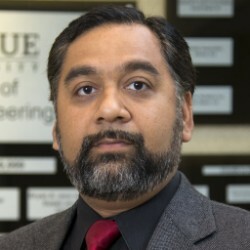 The annual Purdue College of Engineering Faculty Excellence Awards honor faculty who have been selected by their peers as the most outstanding in fields such as research, engagement, mentoring, and teaching. 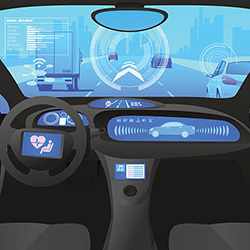 Three Lyles School professors received awards at the 2019 ceremony – Larry Nies, Professor of Civil Engineering and Environmental and Ecological Engineering; Santiago Pujol, Professor of Civil Engineering; and Andrew Whelton, Associate Professor of Civil Engineering and Environmental and Ecological Engineering. 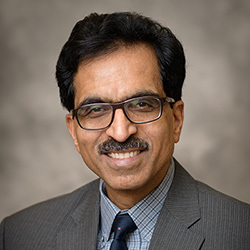 Amit Varma, Karl H. Kettelhut Professor in Civil Engineering and Director of Bowen Laboratory, has been selected to receive the 2019 Shortridge Hardesty Award from the American Society of Civil Engineers (ASCE) and the Structural Engineering Institute (SEI). He will be presented the award on April 27, 2019, at the Structures Congress in Orlando, Florida. 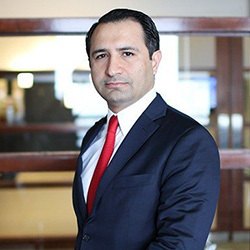 A desire to explore new ideas and learn from the best is what attracted Ersal Ozdemir (BSCE '97) to study civil engineering at Purdue and then go on to take Giant Leaps by starting a construction company and bringing professional soccer to Indianapolis. "Purdue Engineering provided me with a strong foundation to be successful in life," Ozdemir says. 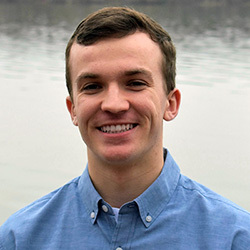 The American Society of Civil Engineers (ASCE) has announced Lyles School of Civil Engineering undergraduate student Trevor Moore as the top 2019 New Face of Civil Engineering in the College category. The 2019 honorees are rising stars, inspired and inspiring, many of them drawn to the profession by a desire to help others and protect the planet. 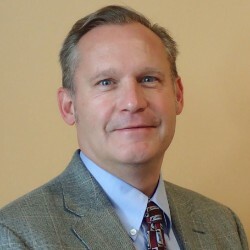 Robert Frosch, senior associate dean of facilities and operations and professor of civil engineering, has been named an ACE Fellow for academic year 2019-20 by the American Council on Education (ACE). Purdue University's Lyles School of Civil Engineering recognized six passionate, influential and visionary graduates during the 26th annual Civil Engineering Alumni Achievement Awards banquet. 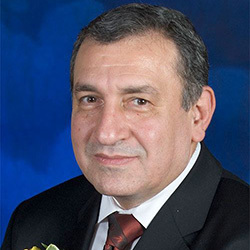 Dr. Essam Sharaf, Purdue University Distinguished Engineering Alumni (BSCE '75, MSCE '80, PhD '84), Professor at Cairo University, and Former Prime Minister of Egypt delivered a lecture to the Lyles School of Civil Engineering's students, faculty, and staff on March 27, 2019, entitled: A Career Journey: From Engineering to Public Service. Dr. Randall Poston, Sr. 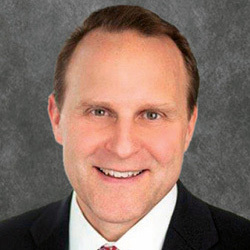 Principal at Pivot Engineers, a structural engineering consulting firm in Austin, Texas, will be holding a seminar and colloquium this April as a member of the inaugural class of Neil Armstrong Distinguished Visiting Fellows. Purdue CE Success Story: Steele Foundation LLC honored as a top family-owned business in Greater Washington, D.C. The Washington Business Journal has honored 51-year-old Steele Foundation LLC as one of the top multi-generational family-owned businesses in Greater Washington, in its fourth annual Family-Owned Business Awards competition. 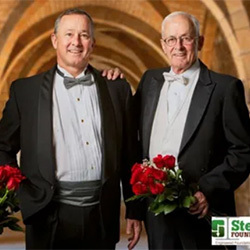 Owned and operated by a father-son tandem of Lyles School of Civil Engineering grads, Steele Foundation is one of only 15 family-owned businesses in this region to receive this year's honor, which exemplifies "overall excellence, innovation, ethics and philanthropy."